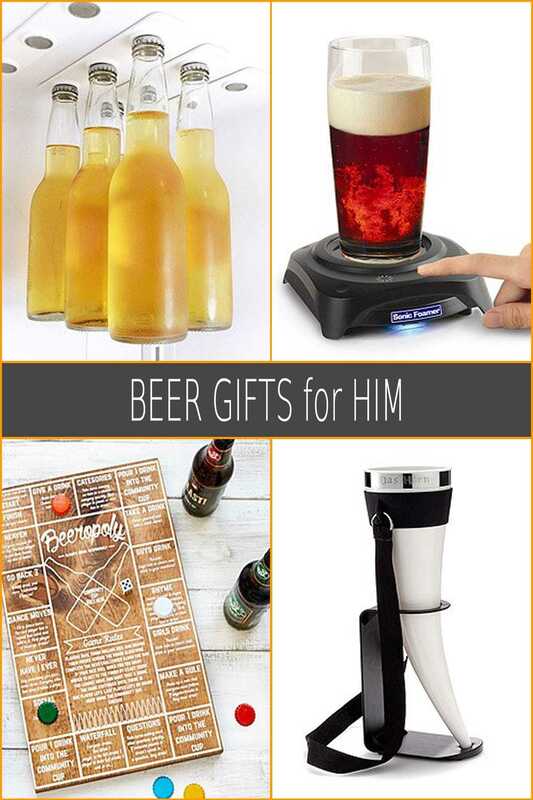 Coming up with ideas for craft beer gifts for him can be challenging even when you do know something about craft beer and a lot about his personal preferences for beer styles, fun activities etc. Luckily, there are incredibly resourceful people out there generating uncommon product ideas and bringing them to market. This list of beer gifts for him is periodically updated to reflect product availability and include fresh new additions. The Rare Beer Club® – this is a beer subscription (in our opinion the best one in existence) which will send him unique, limited release brews hand-picked by experts and in line with contemporary trends on the craft beer scene. Read our detailed review before you decide or head directly to the club itself. Pressurized Craft Beer Growler – keeps beer fresh for weeks. A veritable portable mini keg. Definitely one of the best beer gifts for him out there, especially if he enjoys limited edition brews from local breweries. 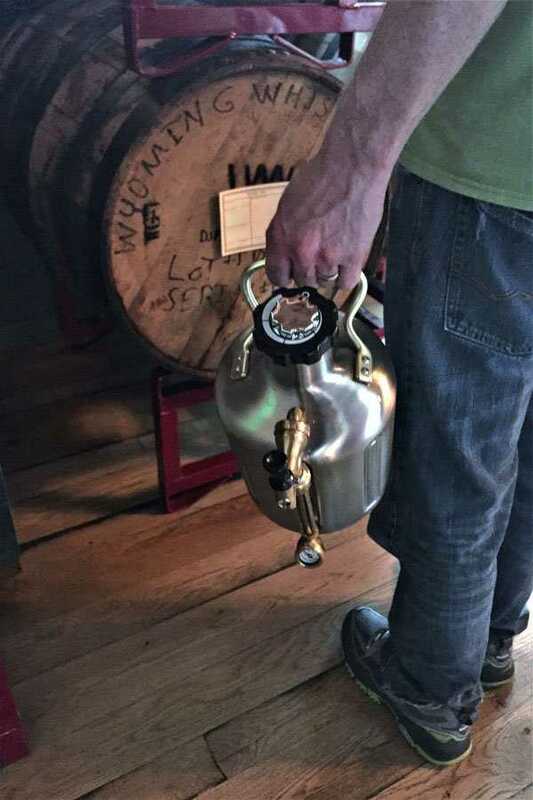 We call it The Mother of All Growlers. Buy him one here. 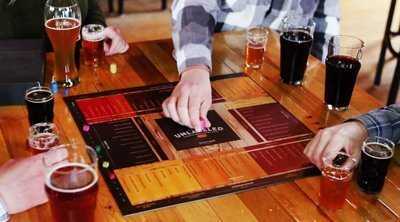 Unlabeled – The Blind Beer Tasting Board Game – fun beer tasting game you can bring along when brewery hopping. Buy it here. 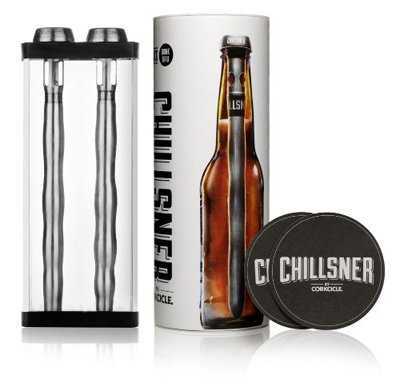 Chillsner – he can keep his beer cold in the bottle on even the hottest of days, all the way until the last sip. Buy it here. 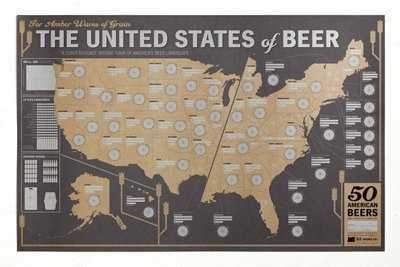 United States Craft Beer Tasting Map – an awesome decor piece for those lucky guys who actually have a dedicated man cave. Buy it here. 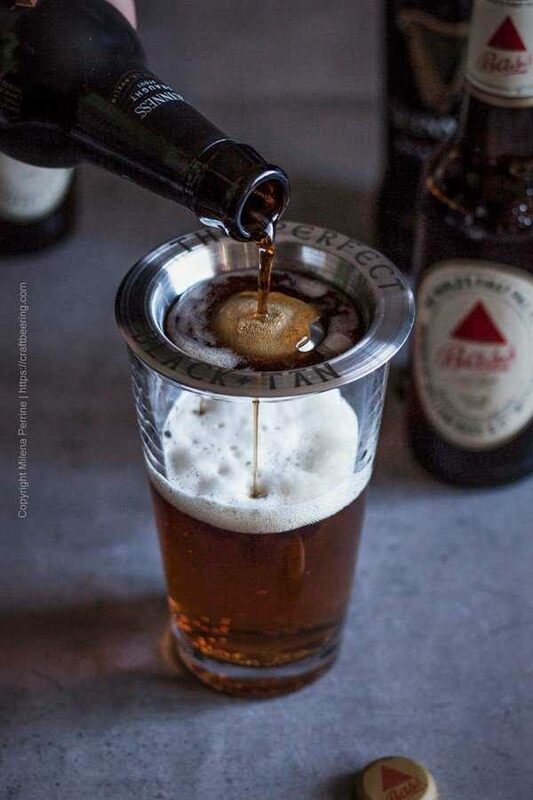 Black & Tan Pouring Tool – this nifty gadget will assist him to pour like a pro and create a perfectly layered Black & Tan. Get it here. 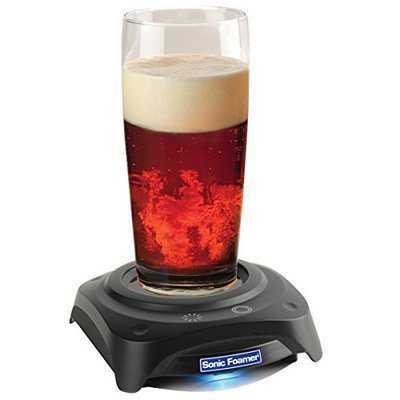 Beer Aroma Booster – via ultrasonic waves this nifty foamer maintains a beer’s head and delivers those coveted aromas for the duration of the drinking experience. Impressive. You can get it for him here. 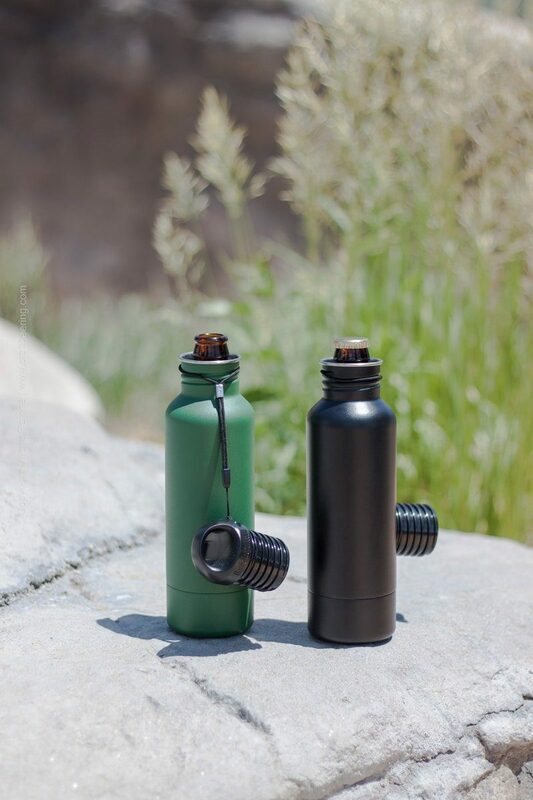 BottleKeeper – the ultimate beer bottle koozies. Read our review of how they can reliably keep a beer cold, safe and discrete. Classy beer themed art prints – find a variety of them here. Artisanal hops infused finishing salts and seasonings. From Citrus Bomb Cured Gravlax to Fuggle Espresso seasoned grilled meat…these are culinary fun for hop lovers. Take a look at the collection. Das Horn – a beer ‘glass’ he can hang around his neck. Especially useful for hands free enjoyment at grill parties or festivals. Buy it here. This post contains affiliate links which help support our site and no cost to you. 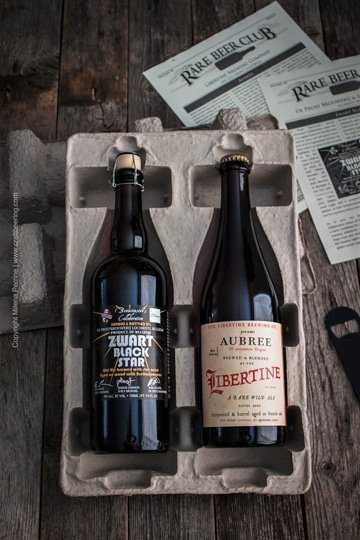 These are great gifts for beer lovers. My favorite is the beer growler. My hubs is impossible to buy for and this is a gift he won’t even know what it is, yet will love it. Love the idea of the beer and food pairing towel! Thanks so much for sharing at the #happynowlinkup! It is such a cool thing that towel. Very interesting to explore:) Thank you, Leslie! I know, right? They really do have uncommon items, so much fun to browse! Thank you, Debbie!